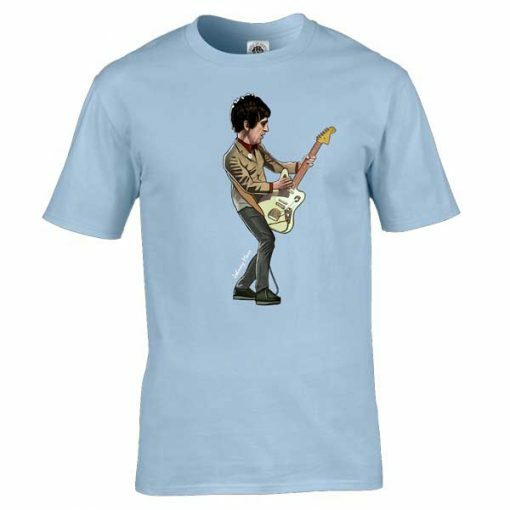 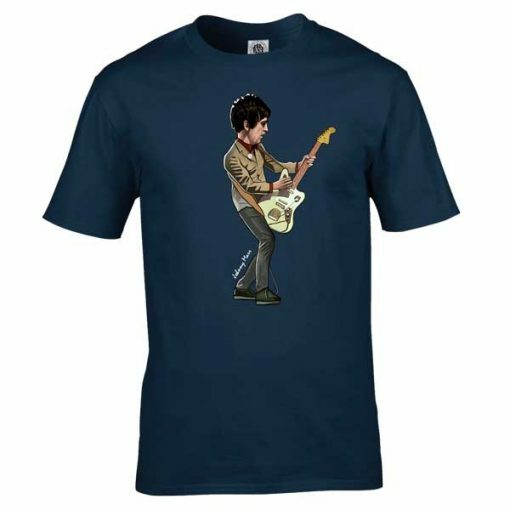 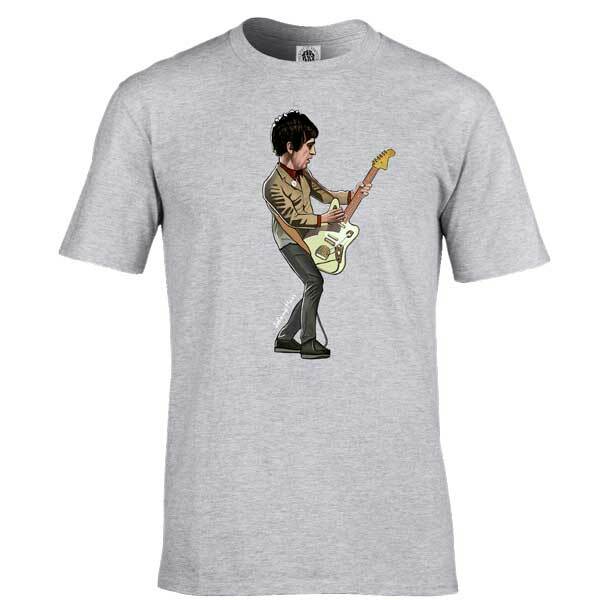 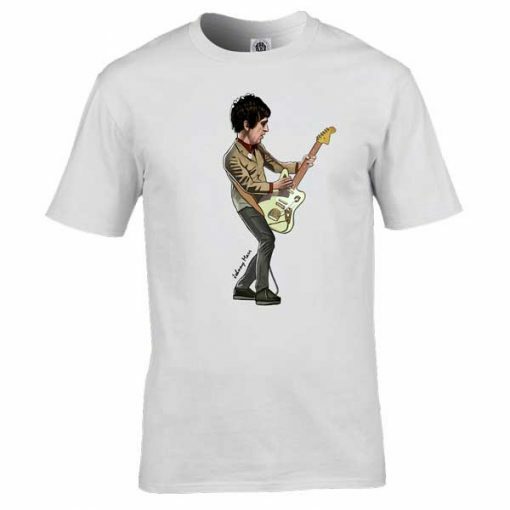 This Johnny Marr cartoon T-Shirt has been drawn by Mark Reynolds. 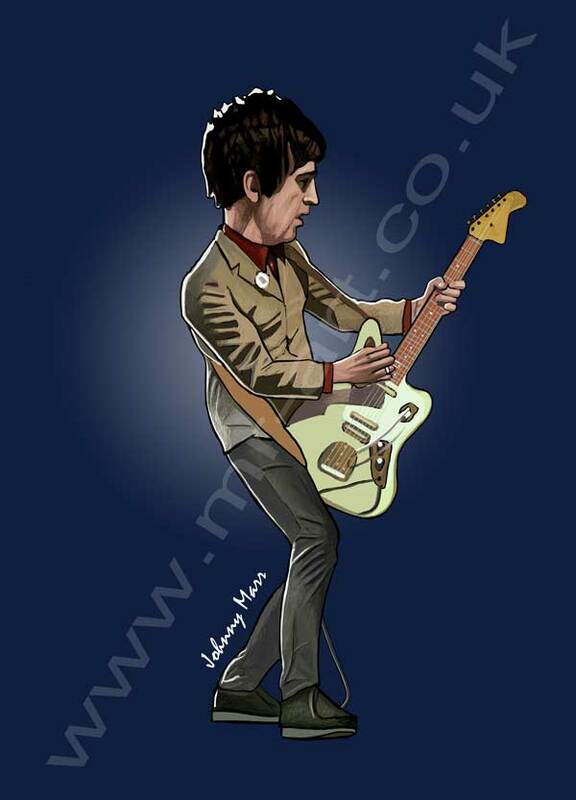 It features Johnny Marr on guitar. It is available in a wide range of colours and sizes.